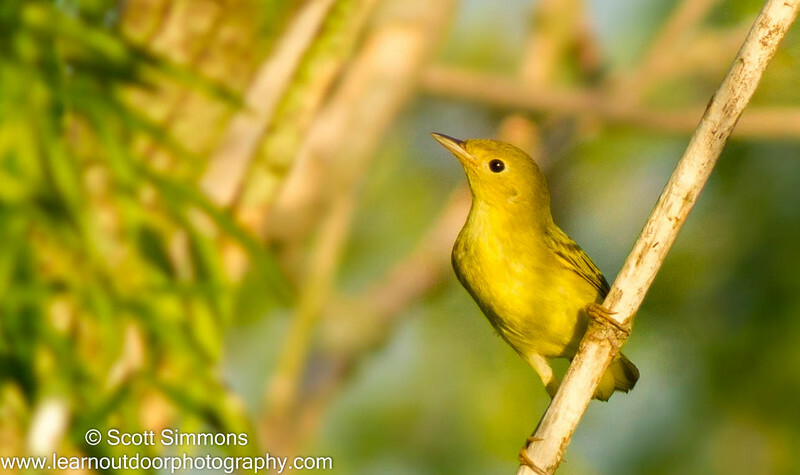 During late August and September, Yellow Warblers come through Lake Apopka in huge numbers. It's not terribly unusual to conservatively estimate 30 or more individuals along the lake shore. I suspect this is largely because there are so many willows near the lake shore, and the drive takes you right between the willows and the lake. I think they're beautiful birds. A few weeks ago, I was driving along the drive next to the lake, and I saw a few all in one tree. I pished a little bit, and then all of the sudden there were at least 10 there. I don't know that I've ever seen so many Yellow Warblers in any one place. This was my best photograph from that time.